When a prashana chart is cast based on a basic number up to 108 or time of query, lagna shows the querent and the 9th house show the astrologer. 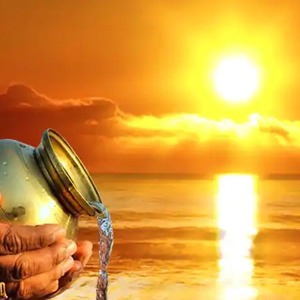 If lord of 9th is in debilitation or otherwise weak, astrologer should not give prediction In Nadi we give importance to the karkattawa of a planet. 9th house shows last birth and 5th house shows next birth. When a prashana chart is cast based on a basic number up to 108 or time of query, lagna shows the querent and the 9th house show the astrologer. 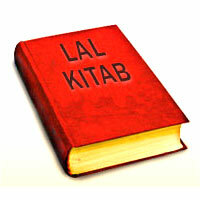 If lord of 9th is in debilitation or otherwise weak, astrologer should not give prediction. Planet Jupiter signifies male and Venus female. Planet Venus signifies wife and Mars husband. A planet in 2nd to Jupiter means that the native has younger sibling. He is elder when no planet in 12 to Jupiter. A planet on both sides of Jupiter means that he has both elder and younger siblings. Mars in Leo shows loss of a brother suddenly. 5th lord in 10 means highly placed popular native. Link between 5th and 7th lord means either marital life is not good or children are affected. No planet in 7th house - one is on his own (not dependent on any one). No planet in 7th to lagna lord - one is on his own. For any bhava, its Kendras must have planets to fortify it. From Rahu see which planet is posited next to him behind him (Rahu is retrograde so a planet behind him shall be next to him and can be taken as entering its mouth). The native is likely to loose the relative signified by that planet. Jupiter immediately behind Rahu means either the native is the eldest child in family and if it is not so, he is likely to suffer fkom his child. Child may leave him and live separately. For Mithuna Lagna wherever Mars is posited that bhava suffers. Mercury in trines to Mars - the husband shall have another relationship. A planet in exaltation with no planet flanking it, it loses much of its power to do well. Saturn having no planet on either side or in trines to it - no fixed profession. Saturn with Jupiter in 7" - work in a big organization. Mars in a female chart behind Venus - husband is after wife, i.e. husband is attached to her. He has more sexual interest. Venus in a male chart behind Mars - wife is after husband, i.e. wife is attached to him. She has more sexual interest. Mercury and Ketu in trines - native are likely to fall in love suddenly and that love does not materialize. Moon in trines to Venus - Wife is a cheater or cheated by others Moon signifies motherlelder sister and Venus wife. When mother dies, Moon signifies wife and the other woman is signified by Venus. 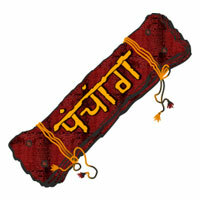 Rahu or Ketu in trines to Mars is a mangleeka dosha which indicates delay in marriage. Mars in trines to Rahu in a female chart - lady is very passionate. Mars in trines to Ketu in a female chart - fiigid lady. Sun in 1 on - It gives early income. Jupiter in trines to Saturn - desires fblfilled. Successful people. Jupiter Saturn in 68 position is not a happy location - there can be sudden fall as it shows misfortune and one learns to live life without much desire. Jupiter closer to Saturn, i.e. in 2/12 or in 311 1 position - native comes up in life early, ambitions are fulfilled. Much contentment. If Sun and Saturn are away from each other - no ambition or delay in fulfillment of ambitions. One planet in 10th is good and as the number of planets in 10th increases, shows no fixed ambition. Retrograde planets are powefil. They show unfinished karmas of last life. Many successful people have a number of retrograde planets in their charts. Unfinished karma of past life is shown by planets in retrogression. If Jupiter is retrograde - one has enjoyed his last birth fully, in this life he may be diabetic if native transgresses other’s wives or takes money illegally. Dispositors of Rahu Ketu if conjoin - they act as an atom bomb, either you blow up or get blown. Either they give a big rise or a big fall. Dasha of dispositor of Rahu plays an important role in life. Conjunction of any planet with Rahu or Ketu is not good. Rahu conjoining its dispositor gives potent raja yoga. Rahu conjoining dispositor of Ketu is bad. Ketu conjoining dispositor of Rahu is not good. If Rahu is in 4 and Ketu is in 10th house - the native should not have a working wife. Rahu in lagna and Ketu in 7&4r vice versa you carry karmas of your forefathers, unexpected events take place. The house fiom where Jupiter is in 12 it expands. 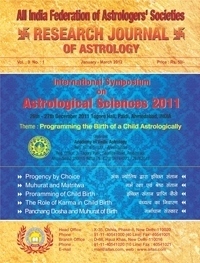 Jupiter in 4 - child prosper more than the native. Jupiter in 12th shows spendthrift and takes loans. Rahu in 4& in a female chart - husband has extra curricular activities. When natal Mars is aspected by the Moon in transit - lady should get her monthly periods. A planet in sign Cancer gives elevation of his kmbttawa because sign Cancer is a sign where Jupiter is in exaltation. Libra lagna - 7’h lord in Virgo is not good for wife. 5 lord in 2nd - very rich son but he is not happy. No planet in sign Virgo - less sickness. A planet in Virgo - no love and respect &om the relative signified by that planet. Venus in sign Cancer - one of the younger sisters suffers. Venus and the.Moon combination may destroy all yogis. See which planet is in D-9 chart - the relative signified by that planet dies during transit of Saturn on that sign. When there is mutual exchange of two planets and a third planet conjoins any one of them - the relative signified by the third planet suffers. If there is exchange between the Moon and Jupiter, Jupiter is in sign Cancer and the Moon is in sign Sagittarius and Venus conjoins the Moon - karkattawa of Venus, i.e. either elder sister or wife suffers. Venus in Cancer emotions play major role in marital life. A planet with Jupiter or Venus in a male chart gives trouble to the native or the wife as the case may be. A planet with Mars or Venus in a female chart gives trouble to husband or the native as the case may be. Jupiter in 1 2’h to Venus - not a happy marriage. Mars in sign Cancer - one purchases houses. If Venus and Saturn are posited very close - native gets wife (he gets married) and change of job (nature or place) at the same time. Jupiter in trine to Ketu - spiritual inclination. Ketu and the Sun in trine to Jupiter - raja yoga. Jupiter in trine to Satum Ketu - a karma yogi, llfills his spiritual ambitions. Jupiter in trine to Mars and Ketu - a Hatha yogi, one who achieves his mission with efforts or will power. Jupiter in trine to Ketu and the Moon - Bhakti yogi. Saturn in trine to Ketu Mercury - Gynana yogi. Saturn in trine to the Moon and Ketu - Sahaj yoga (patience). Satum in trine to Venus Ketu - Sahaj yogi. Rahu in Taurus means one who is very popular with masses. Rahu with the Moon - mind is wavering. Ketu with the Moon - mind is rigid or restricted or fixed and not wavering. Ketu in 5" - what ever you desire you do not get but you are likely to get even more. When Ketu conjoins a planet, it restricts its potency. When Rahu conjoins a planet it expands its activity. Mercury conjoins Venus in a male chart - one has a mistress. Venus in trine to Ketu - do not buy constructed property. Saturn in trine to Ketu - problems in job, but if Jupiter aspects problems solved. Mercury in trine to Ketu - problem in educational institution (or in education). Mars in trine to Jupiter - liable for accidents. Jupiter in trine to Venus - one buys a vehicle. Put signatures on an agreement when Mercury is in trine to Jupiter or Venus. Do not sign dny agreement when Mercury is in trine to Ketu. Saturn in transit comes in trine to natal Venus - wife falls sick. Saturn in transit comes in trine to natal Mars in a female chart - husband falls sick Venus in trine to Rahu - wife is arrogant and adamant and native has to be under her thumb. Saturn in trine to Venus - happy marriage. Venus in 12 to Jupiter or Venus (R) in 2nd house from Jupiter in a male chart - man does not leave his wife; he is too fond of her. (Venus applies to Jupiter). 91, In matching for marriage see that the Sun or the Moon of the boy should fall on Rahu or Ketu of the girl or vice versa.